It was a real feast for Polish sound system fans of heavyweight style. 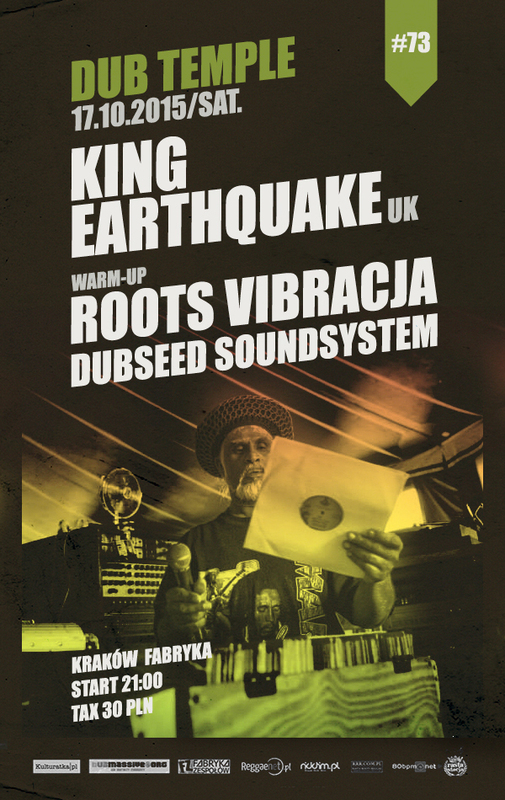 King Earthquake first time in Poland and moreover at the Dub Temple – very quality and remarkable event on the Polish dub scene. Lets add Dubseed Sound System to this with 32 000W of total power and you know that this session will be unforgettable, also due to to fact, that it’s not so common to see the King on such “away” events – he’s always preferred playing on his own sound system, which unfortunately was destroyed in a fire. I really enjoyed his speech about people involved in sound system culture – “every sound man should be honored”. Such blessing from such person is very inspiring to work. After 3AM King also started playing his specials, including an excellent Error Dunkley, Johnny Clarke or Big Youth. Still we were mashing down by roots followed by UK style and then killed by his productions, especially his unique instrumental versions were very well received, driving Dub Temple audience (excellent as usual) to skank madly. At the end we got King’s version to Collie Budz “Come Around”.